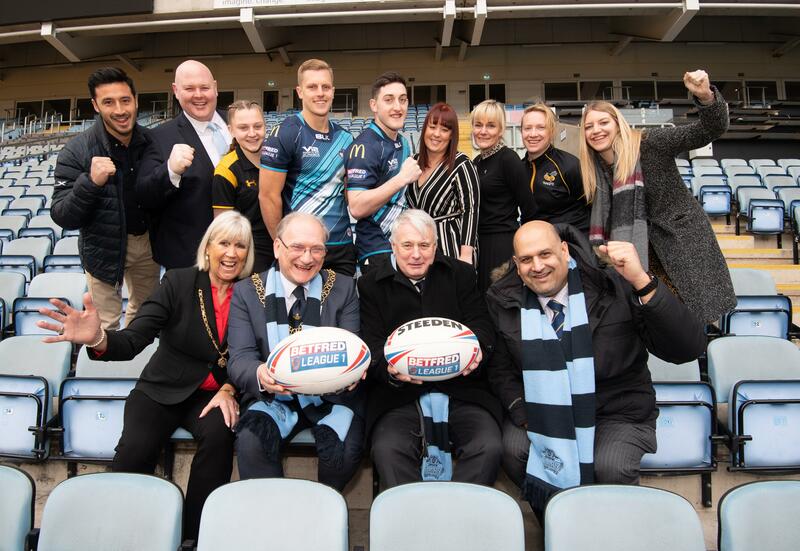 Councillor Abdul Khan, Deputy Leader and Cabinet Member responsible for Events at Coventry City Council said: “This is more great news for the city as we welcome another world sporting event to Coventry. The fact that this news has come in our year as European City of Sport and the tournament will be held during our time as UK City of Culture makes it extra exciting. Jon Dutton, Chief Executive, RLWC 2021, said: “We’re extremely excited to see the Ricoh Arena host a significant men’s game during the tournament. We’re looking forward to bringing this worldwide tournament to the city at the perfect time alongside the UK City of Culture 2021 programme of events. Coventry City Council have worked hard to cement their place in the tournament and with a terrific City partnership and the wider regional plan for the 2022 Commonwealth Games the West Midlands presents some great opportunities to cultivate and develop interest in both the tournament and wider sport”. Nick Eastwood, Chief Executive for Ricoh Arena and Wasps, commented: “This is a real coup for Ricoh Arena and the city of Coventry. “These types of occasions have the power to inspire all generations to take up either code of rugby while improving people’s health and quality of life, so we’re thrilled to be at the heart of this global showcase.